This bride and groom spent most of their dating life living in separate cities. Therefore, they each spent a lot of time in airports. 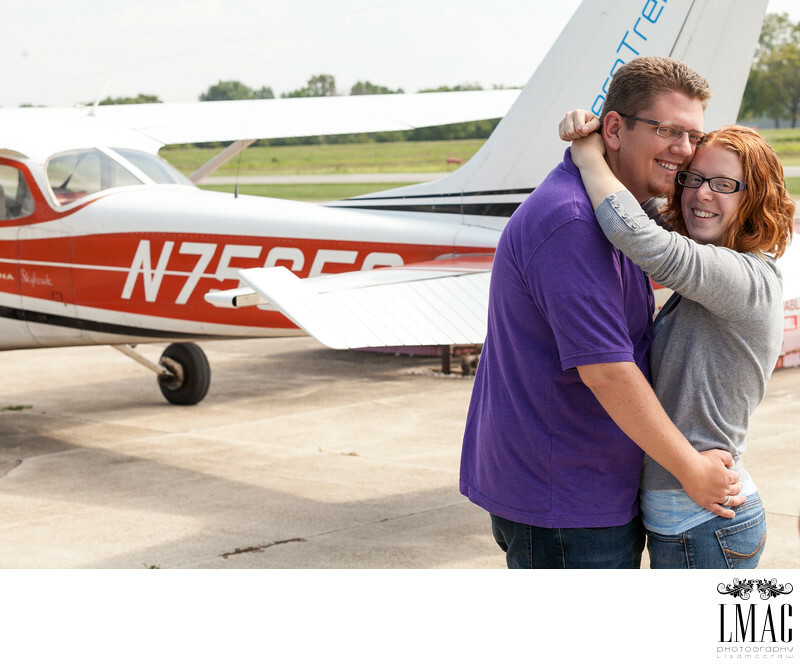 Danielle and Jonathon choose the Wadsworth Airport to photograph their engagement session to reflect the vast amount of time spending traveling to one another when possible. The Wadsworth Airport is located in Wadsworth, Ohio and is a small private airport. They were very accommodating to us...the airport manager even pulled this plane out of its garage so we could get a good shot. Danielle and Jonathan are planning a beautiful 2018 wedding and LMAC is so happy to be a part of it. Danielle is the sister of one of our past brides, which makes it even more exciting. LMAC Photography operates primarily on referrals. Location: 840 Airport Dr, Wadsworth, OH 44281.